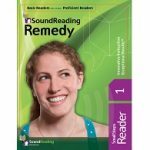 Sound Reading is a comprehensive web-based remedial reading program. Our solution to reading difficulties is grounded in speech therapy and develops auditory processing skills. Through progress monitoring, remedial software activities and fluency exercises, Sound Reading programs reinforce essential reading skills needed to become a successful reader. Recognizing that 35% of English speakers have fundamental auditory issues, we developed a program that caters to the root cause of reading difficulties − auditory issues. Our software develops students’ auditory skills while tackling issues in fluency and comprehension. 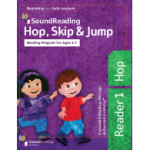 Sound Reading utilizes the natural process of reading, unlike phonics programs that force students to memorize rules. Students in our program typically increase 2 − 3 reading grade levels within 2−3 months. 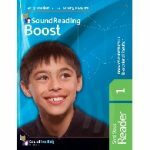 Sound Reading offers online software for students to work independently along with workbook resources that are designed to be teacher instructed. One license gives an educator access to all five of our online reading programs. Assign a student to a level-appropriate program and you’re ready to begin! Select programs include embedded assessment tests and in-program tracking allowing teachers to monitor progress without testing. Sound Reading is based on the broadest research in reading, language, speech pathology and cognitive sciences of learning. Once research was compiled into a reading program it was then tested in numerous classroom settings. Sound Reading conducted a study on 87 students using the Sound Reading program at Newfield Elementary in New York. At the time teachers were concerned about their students’ low fluency and comprehension scores. The students saw significant improvements in fluency (78 percentile jump) and comprehension (50 percentile jump), which translate into reading grade level improvements of 2-7 and 3-5 respectively. Five classrooms at Carter G. Woodson Middle School used the Sound Reading software and saw dramatic improvements. Teachers used the program as a supplement to their existing reading programs and the students adapted to the program quickly, mastering basic reading skills as early as five weeks after beginning the program. Sound Reading proved to work effectively in both small and large classrooms. Teachers were thrilled with how easy it was to teach.